Linear amplifiers are electronic circuits that have an output that is proportional to the input of the device while providing additional power to the load. A linear amplifier is normally a variant of a radio-frequency (RF) power amplifier and is used frequently in amateur radio and in laboratory and commercial audio equipment with an output measured in watts and kilowatts. How Do Linear Amplifiers Work? 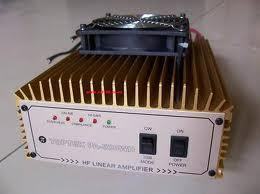 Linear amplifiers can either be based on vacuum tube or solid state technology. Most of the commercially produced devices for amateur radio still use vacuum tubes and provide 10 to 20 times the amplification for RF transmissions in the 1 to 2 kilowatt range. The solid state amplifiers are more common in the 500 watt-25 watt range. As technology continues to improve, AM radio broadcast equipment slowly shifts to using solid state amplifiers, while most amateur radio transceivers become capable of transmitting between 100 and 150 watts. What Are the Amplifier Classes? Class A – They are inefficient and conduct throughout the entire transmission cycle. They can never be more than 50% efficient. Class B – This class of amplifier can be efficient (up to 65%). They conduct through half of the RF cycle but require significant drive power in order to operate. Class AB1 – Is very similar to a class A amplifier except that its grid is more negatively biased. Class AB2 – This amp accepts a larger input signal than a Class AB1 or a Class A amplifier and is more negatively biased than a Class AB1 amp. Class C – These amplifiers are more efficient (up to 75%) but are non-linear. 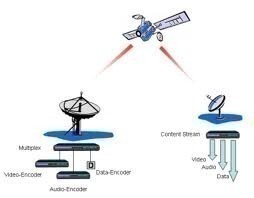 They can only be used for continuous wave or FM use and conduct through less than ½ of the RF cycle. When Were the First Large Linear Amplifiers Used? The first large amplifiers were used in the United States for public radio broadcasting between 1934 and 1939 in Cincinnati, Ohio. The amp was considered experimental and was driven by a 50 kw transmitter. It required a dedicated substation and a large pond next to it to aid in cooling the station during operation. 455 queries in 0.613 seconds.